Every season we grow a certain number of each species – hoping they will all find a new home. When this happens – we are out of stock – temporarily! Sorry! We are adding (and removing) plant species from our range all the time so if you are looking for a plant that is not listed please ask – we may just have a few. If you need larger quantities of certain plants and you have the time to plan ahead – consider our contract growing service – see ‘Advance orders / Contract growing’ below. Plants which are more time consuming to propagate or grow are available in ‘slimline tubes’ (50 x 50 square x 120 mm high) or Grow Tubes (75mm diameter x 100mm high). Prices start at $3.50. Large numbers of plants are grown on contract for many of our customers every year. Further discounts – quote on application. Specific provenance selection – we will propagate plants that are best suited to the planting site. The opportunity to use your own seed or to source seed from your area. There is time to prepare the planting site properly. The right plants and quantities are ready at planting time. For plants to be ready for the 2018 planting season (autumn or spring) orders need to be in by October 31st 2017. If specific seed collection is part of the project even more lead time is required depending on plant species, seed set for the year and so on (please contact us for more details). A 25% non-refundable deposit applies to advance orders. 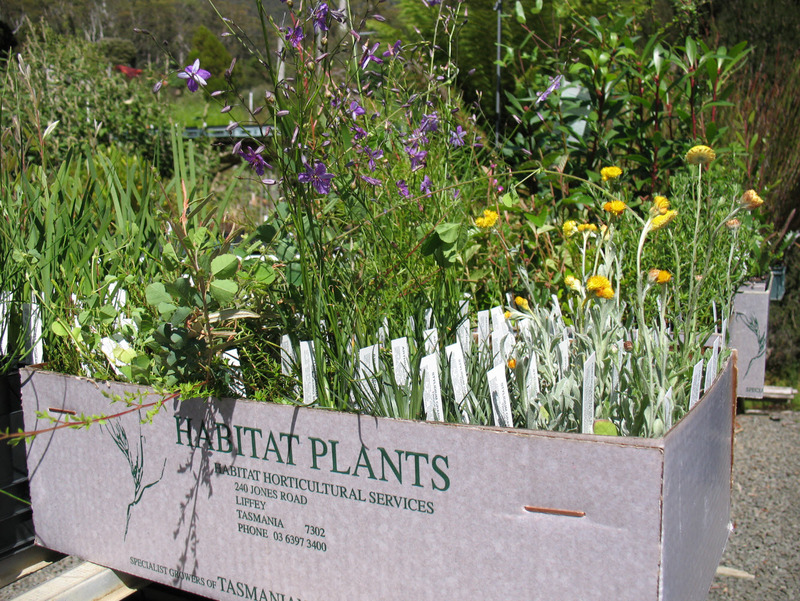 Within Tasmania plants can be delivered by courier to your door. The cost is generally between $20 and $30 for a box of up to 60 tubes. After we receive your order we will contact you with an accurate cost for delivery. Pre-payment is required and can be made by credit card, direct debit or cheque. Plants can be sent by express post 3kg (6 plants) or 5kg (12 plants). Plants can be sent without any restrictions to the Eastern States. Quarantine restrictions apply in Western Australia and South Australia. Please ring or email for prices.